In 1891, Paul Gauguin (1848-1903) traveled to Tahiti in an effort to live simply and to draw inspiration from what he saw as the island's exotic native culture. Although the artist was disappointed by the rapidly westernizing community he encountered, his works from this period nonetheless celebrate the myth of an untainted Tahitian idyll, a myth he continued to perpetuate upon his return to Paris. He created a travel journal entitled Noa Noa (fragrant scent), a largely fictionalized account that recalled his immersion into the spiritual world of the South Seas. To illustrate his text, Gauguin turned for the first time to the woodcut medium, creating a series of ten dark and brooding prints that he intended to publish alongside his journal-a publication that was never realized. The woodcuts crystallized important themes from his work and are the focus of this major new study. Gauguin's Paradise Remembered addresses both the artist's representation of Tahiti in the woodcut medium and the impact these works had on his artistic practice. Through its combined sense of immediacy (in the apparent directness of the printing process) and distance (through the mechanical repetition of motifs), the woodcut offered Gauguin the ideal medium to depict a paradise whose real attraction lay in its remaining always unattainable. 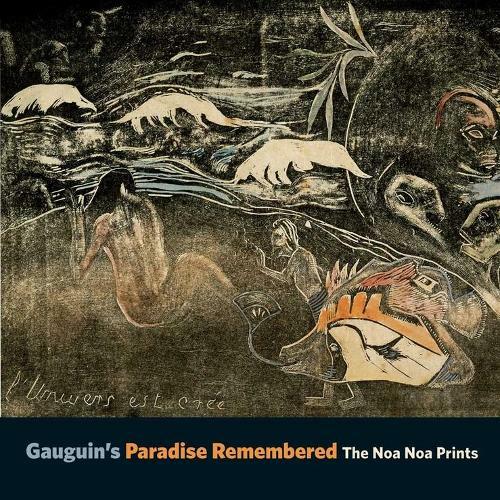 With two insightful essays, this book posits that Gauguin's Noa Noa prints allowed him to convey his deeply Symbolist conception of his Tahitian experience while continuing his experiments with reproductive processes and other technical innovations that engaged him at the time.